In 1964, the import regulations overseen by the Office of Gold and Silver Operations (OGSO) continued to cause difficulties within the coin hobby. 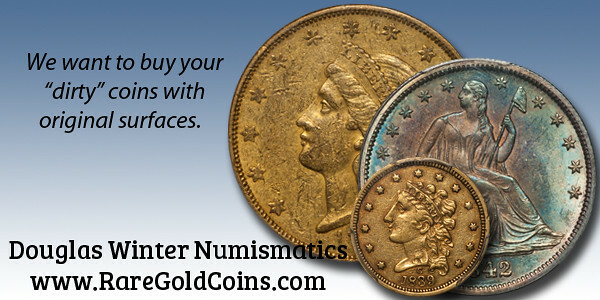 In late spring, Stack's was offered an extensive and specialized collection of world gold coins that were to be sold in the United States. We received an itemized list of what it contained, about 900 gold coins including items from the 15th century up to the 20th century. We knew that it was an important collection that we would love to sell at public auction. We copied the inventory, and I left for the Netherlands in late June 1964 to verify what was included. I was also to let Norman, who was working with me on the information, know what was important for the sale and what we would have to work to get imported. In Amsterdam, I was very pleased and excited to see how accurate the client had been in preparing the inventory. Every coin was listed, with country, mint (if applicable) and the catalog numbers referring to Robert Friedberg's Gold Coins of the World, a wonderful book that was used for over a decade to catalog and identify coins. It gave a lot of information about dates and denominations, but rarely, if ever singled out the rare dates from the common ones. The prices listed were often the cost of the commonest of any given design. I called Norman and had him file the list for a license. Then I waited to hear back that we got the license, so I could supervise the packing of the collection and ship it back to New York. While I waited, I took a short holiday for two weeks to tour Europe. After that, Norman advised me that the license was never issued so we had to delay any shipment. I went home and waited another three weeks, with vague responses, but no license. At that time, one of our catalogers, James C. Risk, was going to London for about three weeks on vacation. During World War II, Jim was a Naval Attaché in Moscow. From there he went to London for a period, before returning to the U.S., and working for Stack's Coin Galleries. Besides being an expert in foreign coins, Jim was very informed about military and national medals of Great Britain. He was a friend of Queen Elizabeth who had requested that Jim review all the medals, awards, ribbons and memorabilia stored in the Tower of London. He had worked there previously, again in the summer of 1964 and he returned to London to finish the job in 1965. Rather than Norman or I making the trip back to Amsterdam, Jim offered to go there on our behalf once we got the import licenses. But after a month in London, Jim came home without the collection, because no license had been issued; it was still being worked on by the OGSO in Washington. We could not understand the delay, so we contacted our legal counsel, and had them make a legal demand for the license. The OGSO replied that they were "still working on preparing it." Our attorneys recommended that we institute an action against the OGSO for the delay and we decided to proceed with this. Since I was most familiar with the case it was determined that I would represent the firm in any action taken. As with all cases where the government was involved, the paper work, and legal actions took time, and the first hearing was not until January 1965. The client agreed to wait, so we could sell the collection for him. Meanwhile we continued our retail business, attended shows around the country, bought some collections, and waited to get the license. We continued our work with clients, including with Josiah K. Lilly. By 1964 he had amassed a collection of close to 5,000 coins of the world, a virtually complete set of United States gold coins, and had gathered a great representation of pioneer and territorial gold coins. We continued the custom of him visiting us on his way to and from Florida in the spring and fall, and I continued to deliver his new acquisitions to the Eagle's Nest.